This year, June in Buffalo is excited to welcome to the festival for the first time Danish composer Hans Abrahamsen. 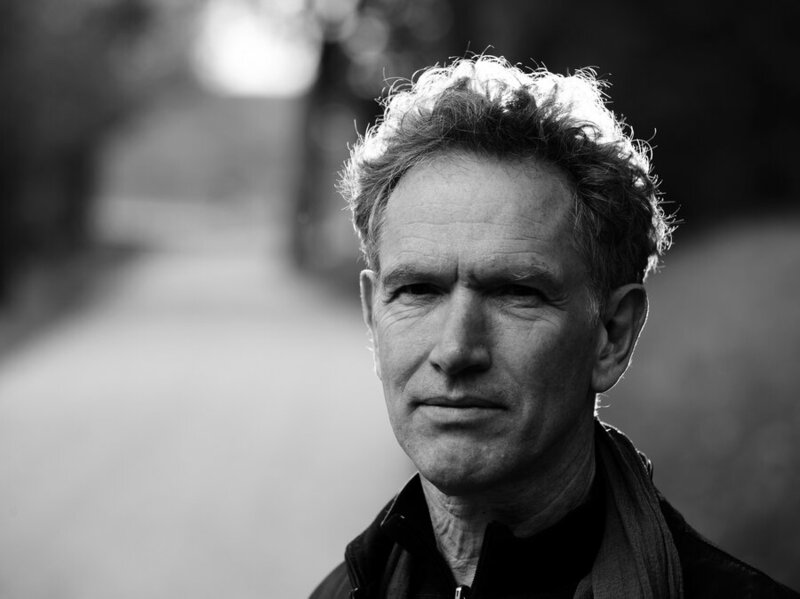 A skilled orchestrator as renowned for his arrangements as his compositions, Abrahamsen has been celebrated for his monodrama, let me tell you (2013)—which received the 2016 Grawemeyer Award for Music Composition—and his canonic Schnee (2006-08), for two pianos, percussion, and contrasting trios, which has been frequently identified as one of the landmark pieces of the early century. Paul Griffiths has described the composer's music as "Resonant with the western tradition in all its facets, with ancient folk melody, with nature, with the vibrant structure of sound itself, [it] yet has the freshness of something untouched—untouched, and touching by being so." Abrahamsen's music has a gained a reputation for its literal and figurative evocations of winterscapes, and even Griffiths' reference to the "untouched" quality of his work alludes to the condition of freshly fallen snow. This is perhaps most apparent in Schnee, but is also present in his earlier work Winternacht (1976-78), as well as in the "glacial world of high harmonics" elicited by his Fourth String Quartet, the glistening austerity of let me tell you, and the solitary winterreise of Left, alone (2014-15), a concerto for piano left hand. It would be understandable for a composer to feel some anxiety about being branded 'the winter composer', but Abrahamsen maintains the confidence of an artist who has created an aesthetic realm of their own, and who is content to reside there comfortably: the composer is currently composing an opera based on Hans Christian Andersen's The Snow Queen. The composer was perhaps not always so comfortable, famously taking a break from composition that lasted nearly a decade in the early 1990s. Before that, the Ligeti student's early works were associated with a Danish trend called the "New Simplicity," which reacted against the complexity of the Darmstadt school by seeking a music that increased objectivity by, in Erik Jakobsen's words, "[aiming] to liberate musical material from the composer’s personal attitudes and feelings." [NB: This is distinct from the later, more subjective German style of the same name, of which Wolfgang Rihm is the most recognizable adherent.] Abrahamsen's orchestral piece Skum (1970) most clearly demonstrates this early approach. By the mid-1970s, however, he had developed a more distinct style, as evident in the orchestral nocturne Nacht und Trompeten (1981), the frigid underbrush of Winternacht, and perhaps most famously, in the seven piano studies of 1984 (later expanded to ten studies). In the following decade, the composer's compositional activity ceased, though he continued arranging, producing adaptations of works by Bach and Nielsen. One must admit a certain level of artist boldness to not only know when to stop composing, but more significantly, when to start again. It was after this break that Abrahamsen's music began to bear the "untouched" quality spoken of earlier, as if the composer found a way to reset, and to make a new music unhindered by his previous explorations. His later style is marked by a pronounced intimacy, even in the larger ensemble works like Schnee. This is perhaps most evident in a piece like Wald (2009), in which the micropolyphony of his former teacher is matched with modal folk-music melodies in a variation form that is at turns rhythmically erratic and ominously understated (see below). The Four Pieces for Orchestra (2004), arrangements of his earlier piano studies, emphasize his unique orchestrational perspective, employing a large ensemble that includes a full percussion battery and Wagner tubas. Audiences at June in Buffalo will hear Signal Ensemble perform Schnee on the evening of Friday June 10th (for more on that performance, see our Signal profile). In addition, the Arditti Quartet will present the composer's Fourth Quartet (2012). "[It] has become in its way a serene and cool piece," Abrahamsen says of the piece, which the composer began before his hiatus. "So the Quartet has been finished luckily after twenty years—it was already in 1990 that I was commissioned by Wittener Tage für Neue Musik to write the piece for Arditti Quartet." Dal Niente will perform the aforementioned Winternacht, a four-movement work whose title comes from a poem by Georg Trakl. "The music has a strong impressionistic quality," says Poul Ruders, "four introverted still lives of the velvety, dark iceness of a silvery winter night (one can veritably sense the fairy tale-like sleigh ride in the two outer movements)." Those outer movements are dedicated to Trakl, while the more classical form of the third movement bears a dedication to Stravinsky, and the eccentric density of the second is an hommage to M.C. Escher. Finally, the earliest work of Abrahamsen's presented at the festival will be 1975's Stratifications, performed by the Buffalo Philharmonic Orchestra. "The stratifications referred to in the title unfold on two different levels," the composer explains. "There is the stratification of the time dimension produced by the opposition of contrasting parts; at the same time the polyphony, the presence of several simultaneously sounding layers, is of great importance to the music." Several elements of the early New Simplicity style are superimposed into a more complex amalgam. "It is like seeing lantern slides. But this 'fictive form crackles and the music gets attentive and real. [It] is in a nightmare condition, where it is not getting anywhere in spite of a great dynamic display. But finally is liberating itself and rising 'in triumph'."